Today’s recipe is courtesy of the folks over at CanCooker. It’s an all in one portable cooking system that makes your camping experience a whole lot easier. 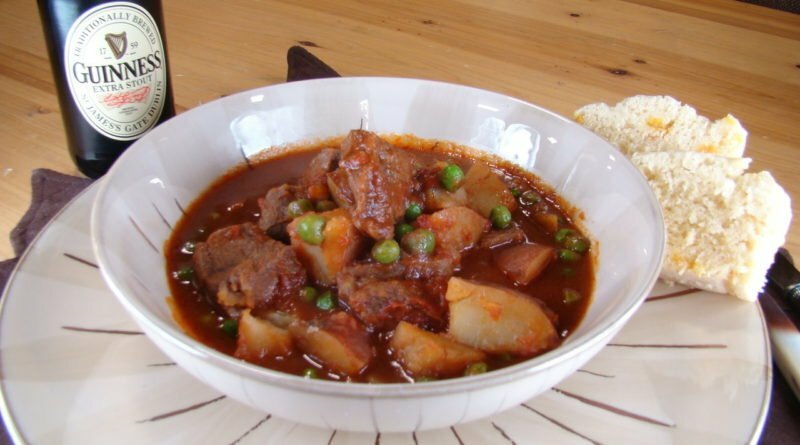 I like stew, it’s warming, filling, and wonderfully tasty. Throw in a generous helping of beer and it just gets better and better. Spray the inside of the CanCooker with non-stick cooking spray. Layer the potatoes on the bottom of the CanCooker put the chuck roast on top of the potatoes. Add garlic and onions. Season the roast with CanCooker All Purpose Seasoning. Mix tomato paste with French onion soup in a bowl until well blended. Pour the mixture over the potatoes and roast. Add Irish Stout to the CanCooker. Latch lid and place on heat. Steam on medium/low heat for 45 minutes. Remove from heat and carefully open lid. Add frozen peas. Latch lid and return to heat. Continue steaming for 10 minutes. Remove from heat and let stand for 10 minutes. Transfer to a large serving tray and enjoy!